Jeff Fields has been in the jewelry business since birth. As the third-generation owner of Peck͛s Jewelers, a premier jewelry store in Stonecreek Village, and a Graduate Gemologist and Certified Gemologist Appraiser—Jeff knows his stuff. And as we near ͚proposal season͛ and the crazy-busy holidays, a few life hacks and tips from an expert won͛t hurt. Pick out the shape and size of your center diamond, and have the diamond alone mounted in a solitaire. 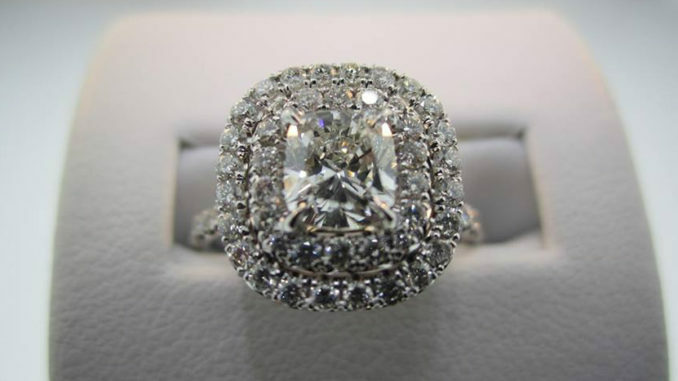 Present this ring at the proposal, and then come in together and design additional custom elements. How can I be sure I’m buying a quality diamond? As a Certified Gemologist Appraiser, I am trained specifically in diamonds. The number one thing—our biggest philosophy—is showing you the differences in terms of quality, and why a larger diamond may be cheaper than a smaller one, and vice versa. Subtle differences in quality make a big difference in price. I want something totally unique, is that possible? Yes, we can manufacture anything you͛d like—it can come from a photo, include elements from heirloom pieces, or be designed from the ground up. If you͛d like a white gold or silver look, platinum is the number one option because it͛s the rarest metal, and is white. It requires some regular maintenance to keep its luster, but won͛t fade to yellow over time, like white gold. Tips for Beaus on a Budget? You͛ve really got to decide if you͛d like a smaller, higher quality piece—or a larger diamond of less quality. Do you have a wide variety of rings in your store?